As the world becomes more aware of the challenges ahead of the ocean and the practices that are going on behind the scenes to get that fish to market….. Here is an article that brings to light some very interesting points. It even talks about Zombie Fishing Fleets. It is a re-post of an article that is a very good read Credits and links at bottom of page. This question, posed by consumers in restaurants and food markets across the country, has become a ubiquitous catchphrase. It even served as the subject of the very first sketch on IFC’s uber-hipster comedy series “Portlandia.” The bit focused on a cloying couple so concerned with the premortem welfare of the chicken offered on a bistro’s menu that they ditched dinner to ride out to the farm and check the bird’s paperwork. The local-food movement has gained steam in recent years, particularly in small, younger-skewing cities such as Portland, Oregon and my hometown of Portland, Maine. But it is spreading across the nation too. As the movement gains supporters, including First Lady Michelle Obama, Americans are more frequently asking about the source and quality of their food. This is a relatively simple question to answer when it comes to farm-raised protein sources such as beef, pork, and the pampered pullet of “Portlandia.” Seafood, however, is an entirely different animal. Fortunately, as the first lady has taken her healthy eating message to the masses, her husband has been working to shore up the nation’s seafood tracking systems. During a March 15 appearance at Seafood Expo North America in Boston, the National Oceanic and Atmospheric Administration, or NOAA, and the U.S. Department of State released an action plan outlining how the recommendations of the 19-agency Presidential Task Force on Combatting IUU Fishing and Seafood Fraud will be implemented. In short, President Barack Obama is giving seafood lovers a much clearer picture of what eventually makes it onto their plates. The actions initiated by this plan fall into two separate categories: addressing illegal, unregulated, and unreported, or IUU, fishing—which primarily happens among foreign fleets and in international waters—and increasing consumers’ ability to trace all aspects of their fish from bait to plate. This particularly applies to roughly 90 percent of the seafood imported from foreign vessels and processing facilities. IUU fishing—sometimes referred to in more colorful terms as black market or pirate fishing—is truly a scourge. The pirate moniker evokes rogue vessels plundering the ocean of its bounty by fishing beyond sustainable limits, and indeed, this occurs on a grand scale: According to NOAA, IUU fishing costs honest fishermen anywhere from $10 billion to $23 billion annually. Such activities can also encompass even darker crimes, including human trafficking and slave labor. Laudable work by the Environmental Justice Foundation and other organizations has unearthed harrowing stories of abducted workers sold into slave labor, primarily to Thai vessels. At sea, the captains target low-value ocean species that are only suitable to be ground into fishmeal and used as feed for southeast Asian shrimp farms that primarily serve the U.S. and European markets. The laborers are physically abused and, in some cases, worked literally to death aboard boats that fish perpetually without returning to port, using tenders to resupply and transport the fishmeal to market. This leaves the workers with no chance of escape, particularly since many of them had never seen the ocean before, let alone learned how to swim. This shocking, subhuman treatment is a jarring and extreme example of the need for a greater understanding of where our fish comes from—hence, the traceability component of the Obama administration’s action plan. In addition to eschewing a side order of slave labor with our scampi, traceability also means ensuring that the fish Americans consume—whether farmed or wild caught—comes from safe, reputable sources with labels correctly asserting what it is. Assuring the source and certainty of our seafood is more of a problem than most Americans realize. A 2011 investigation by The Boston Globe found that nearly half of the fish it tested from Boston restaurants was not what the menu actually advertised. And when the paper followed up with the same establishments a year later, more than two-thirds of the samples tested flunked again. 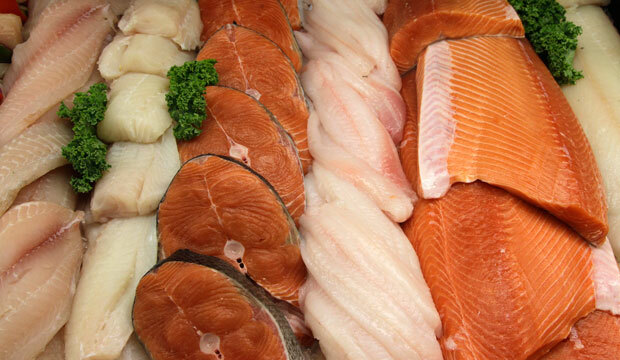 On a grander scale, the environmental group Oceana released a report in 2013 estimating that one-third of all seafood sold in the United States is mislabeled, with a lower-value species usually substituted for a higher-value one. The report found that fish labeled as red snapper were actually a different species—usually tilapia, perch, rockfish, or sea bream—in an astounding 87 percent of its samples. The statistics on inspection and tracking of fish before it reaches the U.S. market are even more troubling. According to a 2011 report by the U.S. Government Accountability Office, the Food and Drug Administration, or FDA, inspected just 0.1 percent of all aquaculture imports for illegal antibiotics and chemicals from 2006 to 2011. It inspected just 1.5 percent of Chinese aquaculture facilities during the same period. This occurred despite reports—including a 2007 Washington Post exposé—detailing Chinese fish farms’ widespread use of chemicals banned in the United States. These farms used some additives prohibited even in China, such as the carcinogenic organic compound known as malachite green. Despite these ominous indications, the actions announced at Seafood Expo North America will immediately begin to turn the tide against shady operators and questionable imports, leveling the playing field for honest, hardworking U.S. fishermen. The 15 specific actions enumerated in the administration’s action plan include expanded local, state, and federal enforcement capacity; provisions to allow more robust information sharing among federal agencies to target criminal operators; and heightened consideration of fisheries and aquaculture issues in diplomatic negotiations and trade agreements. And while not as immediate a fix, perhaps the action most relevant to consumers is establishing a means of identifying the wild-caught and aquaculture species most at risk of fraud and illegal activity, requiring that electronically traceable data accompany each import shipment of these species by mid-2016. By asking for and purchasing U.S.-caught or raised fish, Americans can support sustainable fishing practices; avoid the possibility of inadvertently supporting slavery; eliminate the risk of illegal additives; and help our fishermen recoup some of the revenue they would otherwise lose to illegal and unsustainable competitors abroad. American fisheries are among the best managed in the world. The actions laid out by the Obama administration earlier this month will help other countries—particularly, less-developed nations—rise to meet the standard that American consumers have come to expect. « A few pictures of my girl….